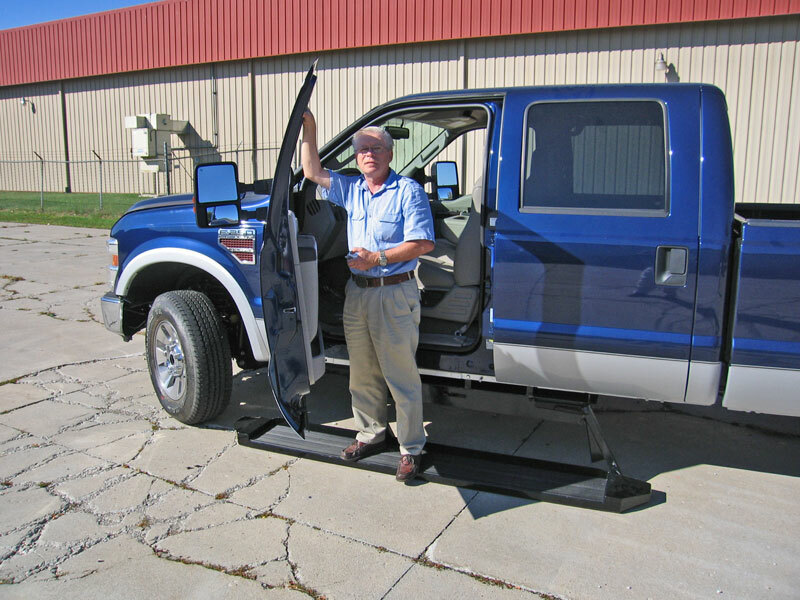 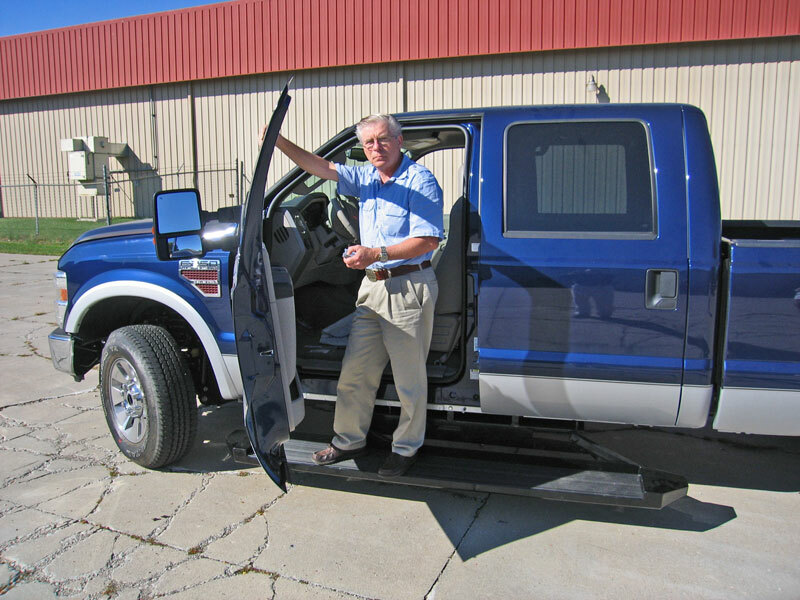 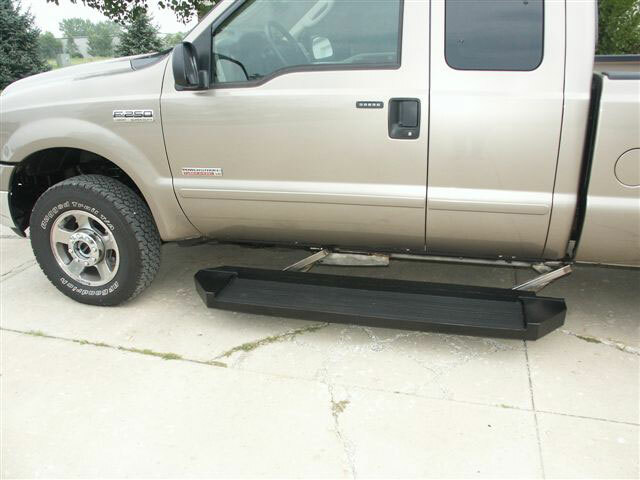 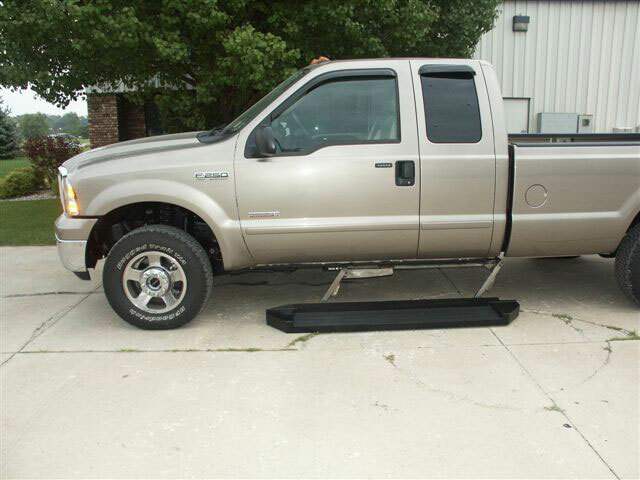 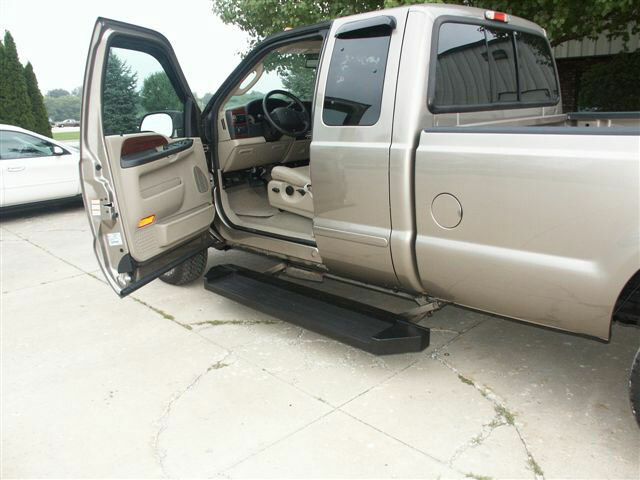 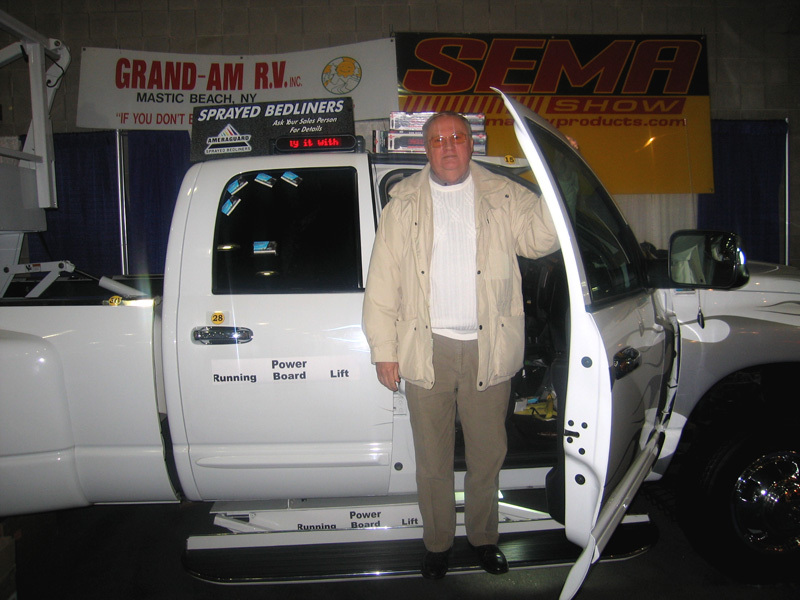 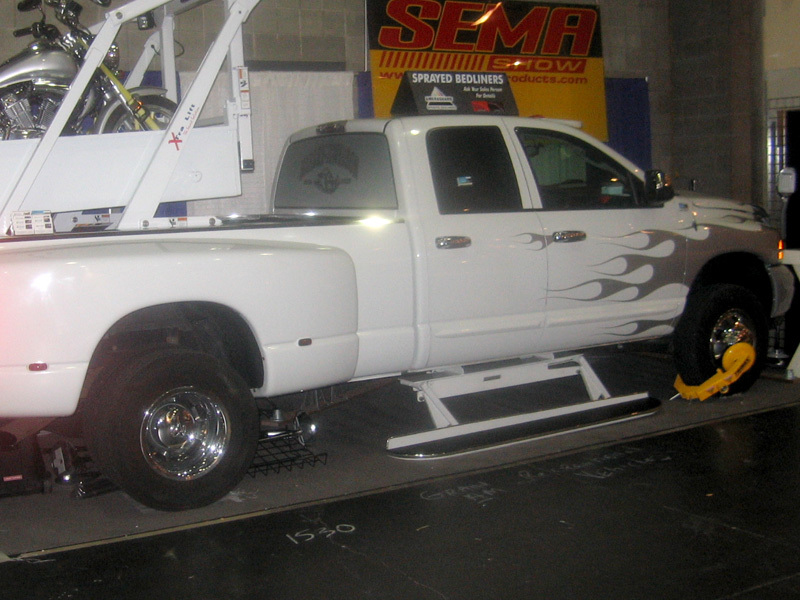 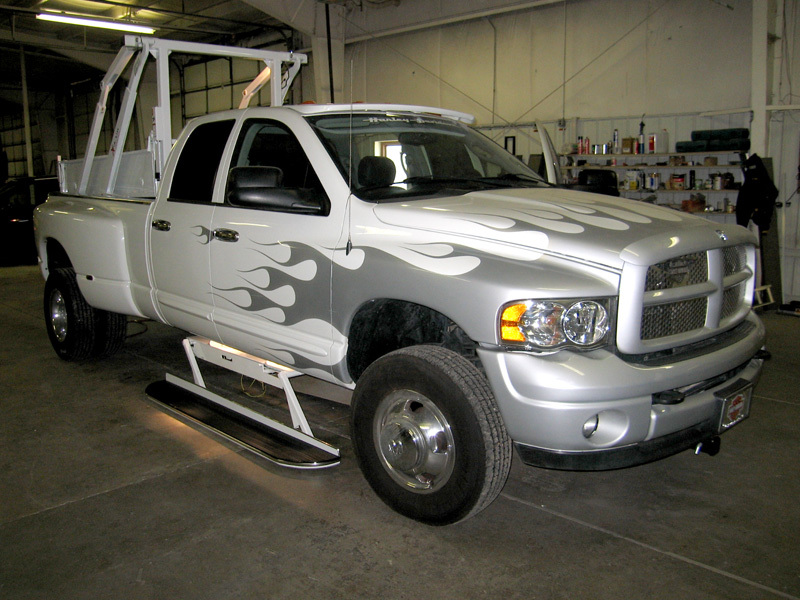 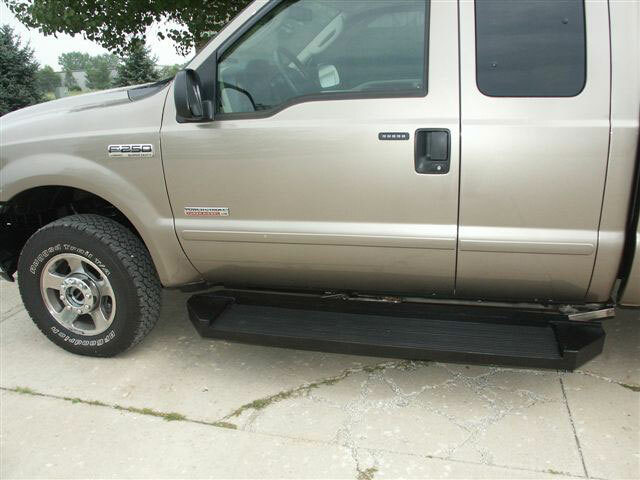 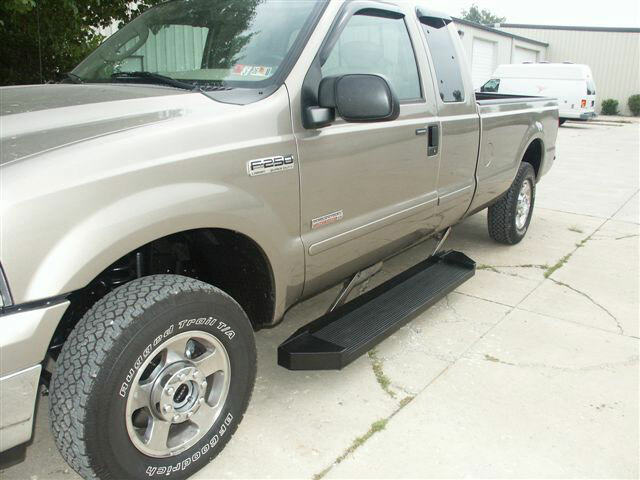 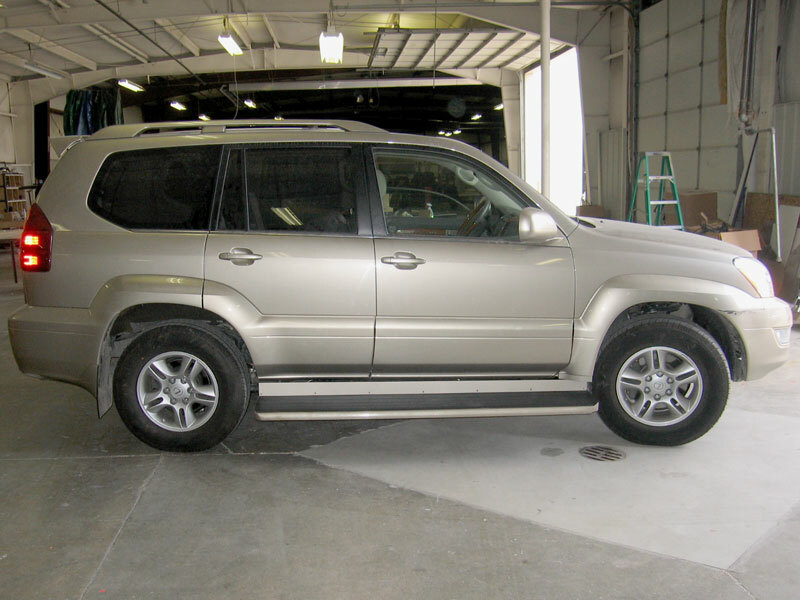 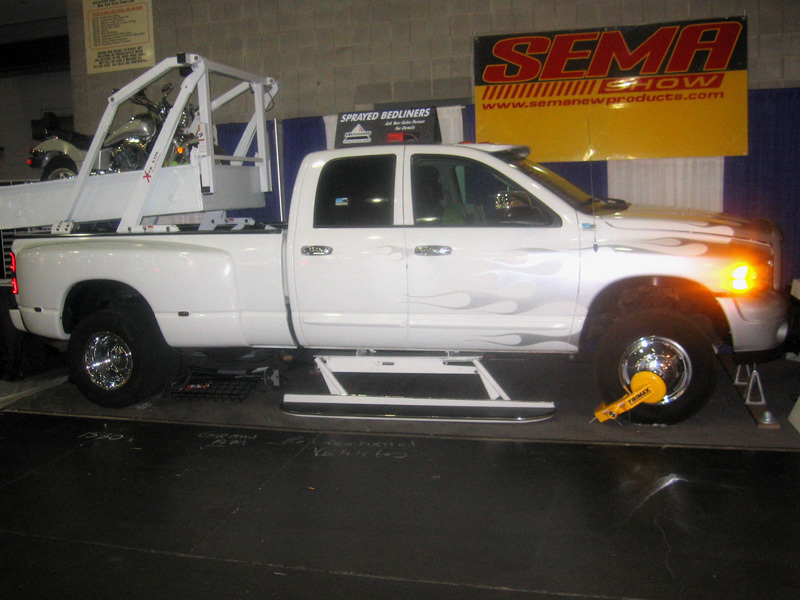 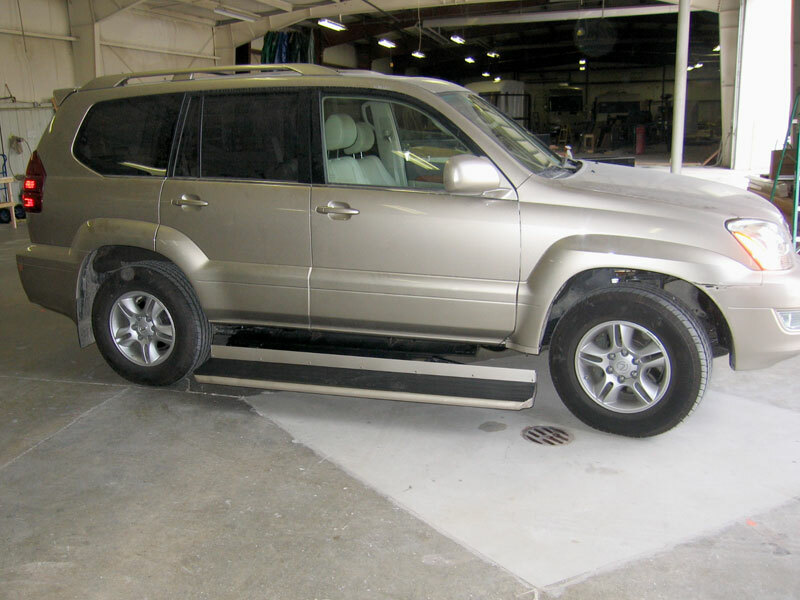 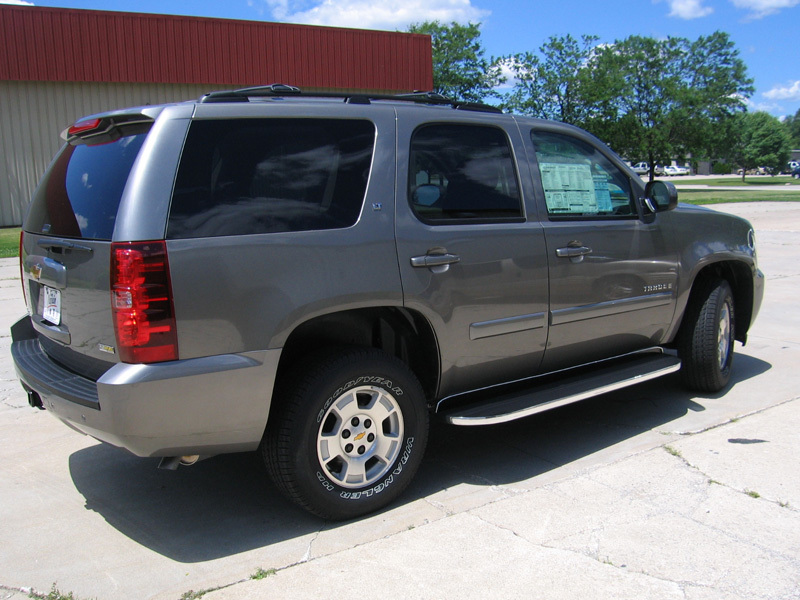 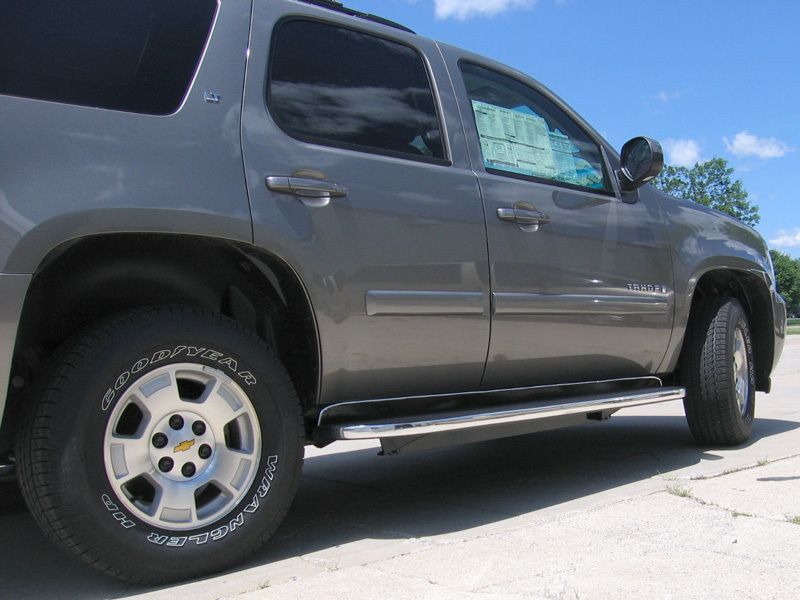 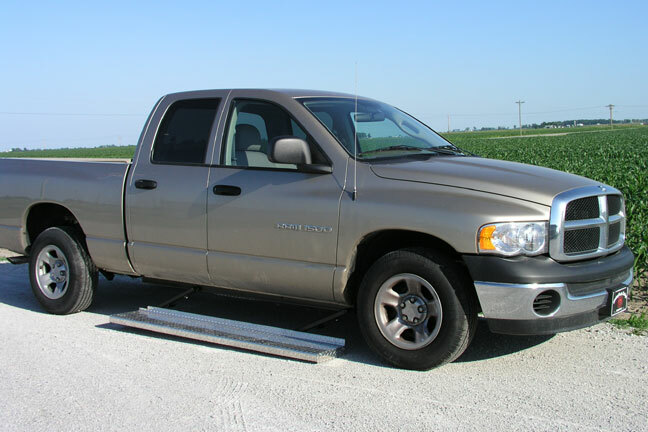 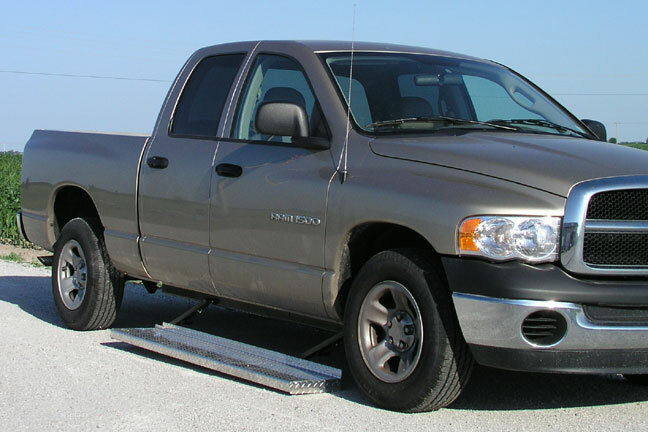 The shown running board lifts were fabricated and installed by StarTracks Custom Vehicles. 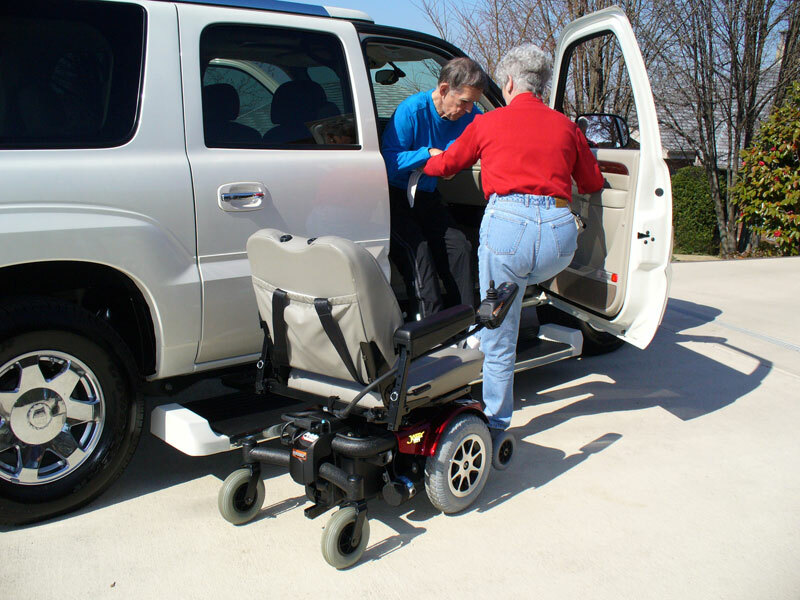 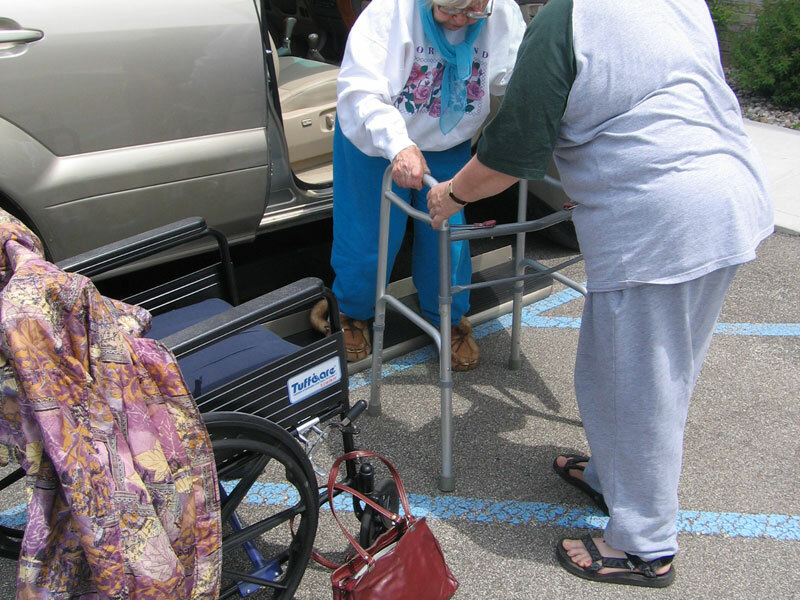 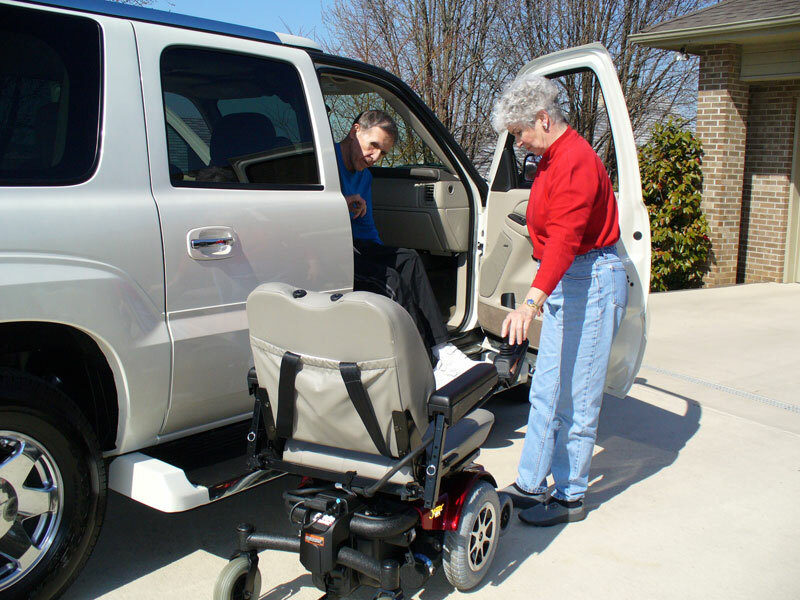 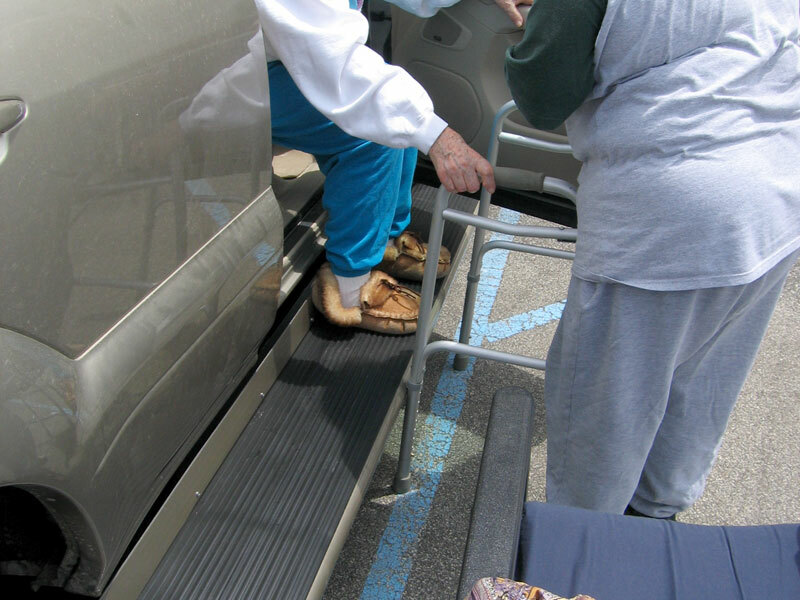 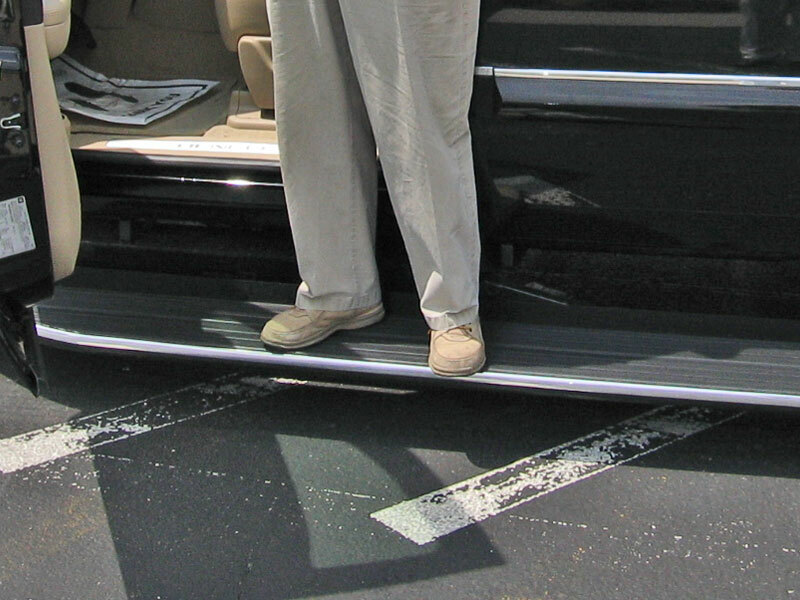 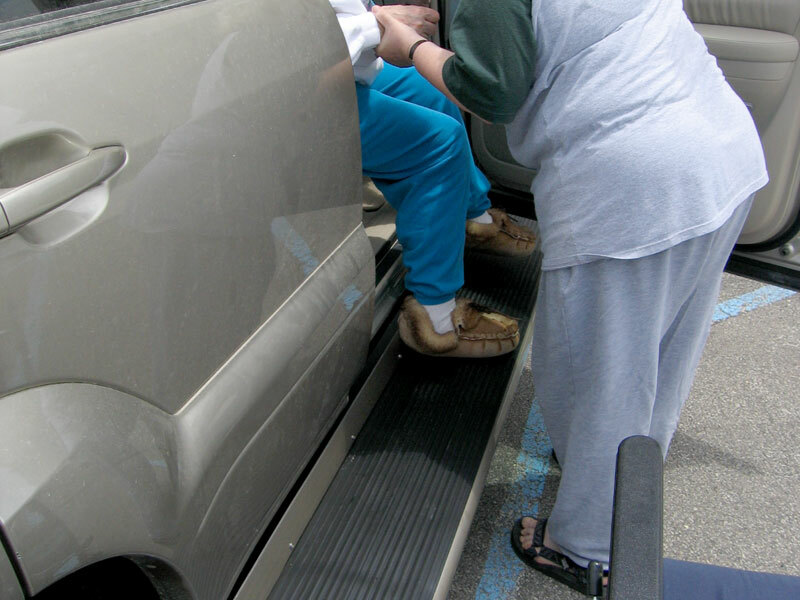 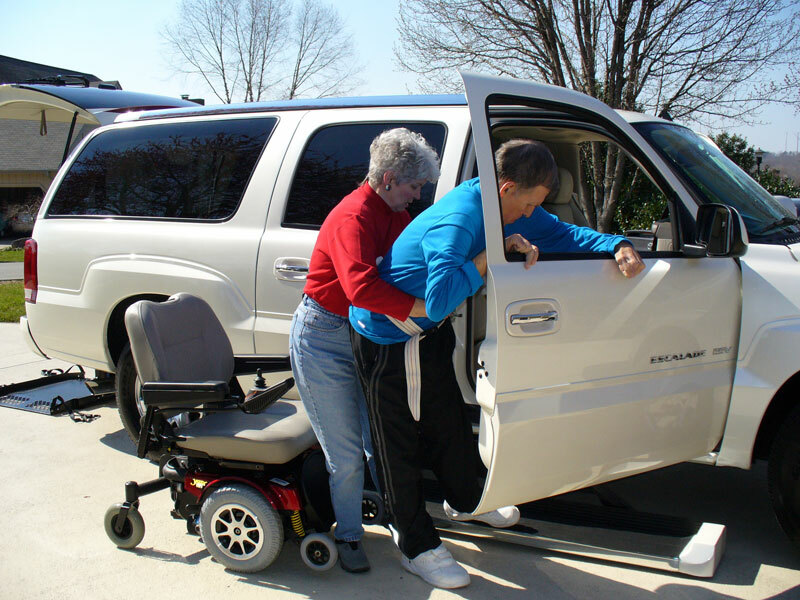 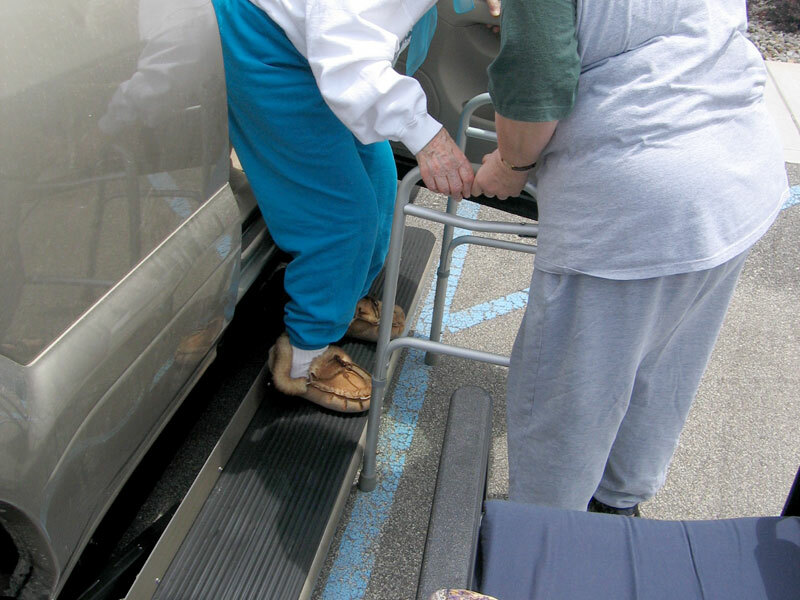 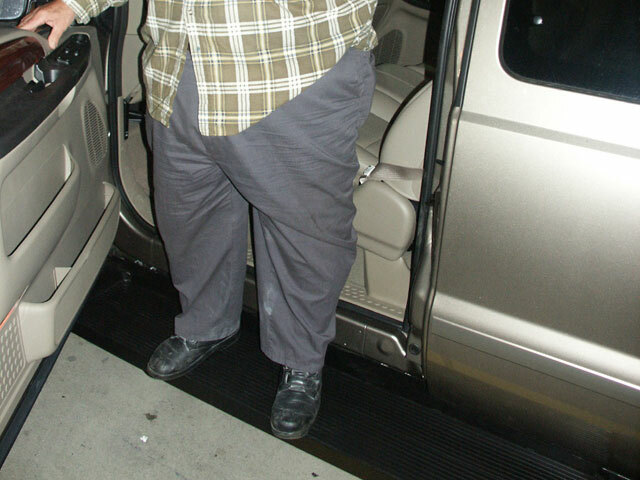 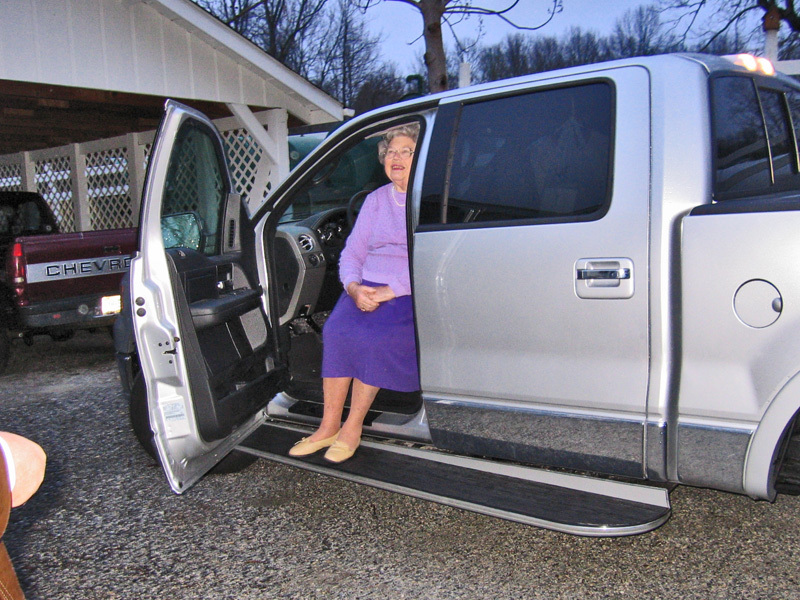 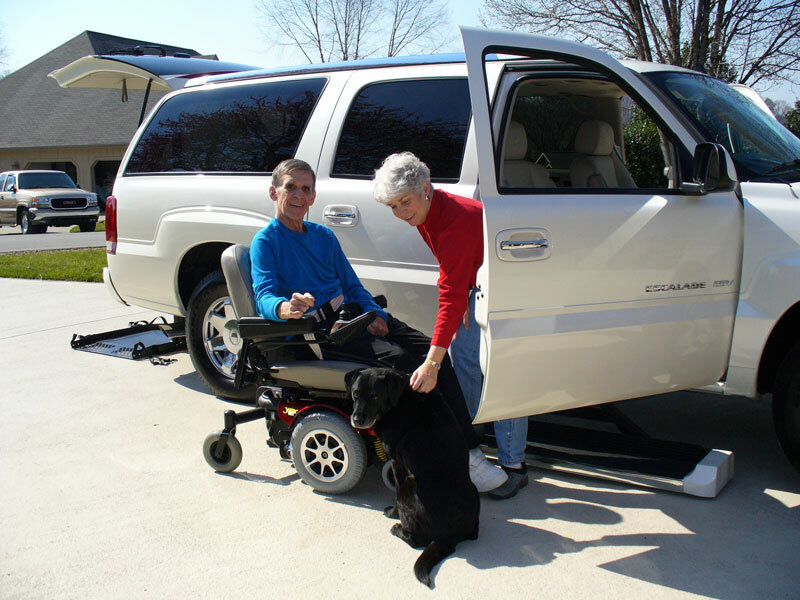 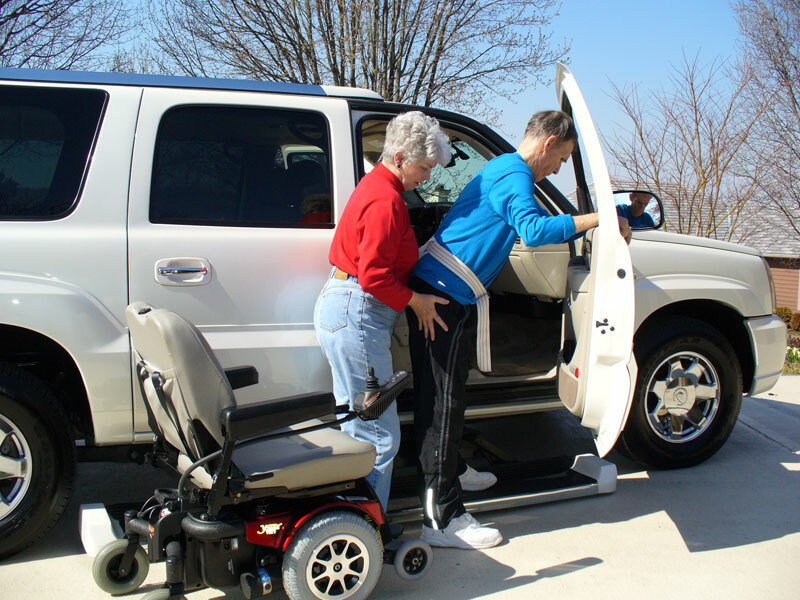 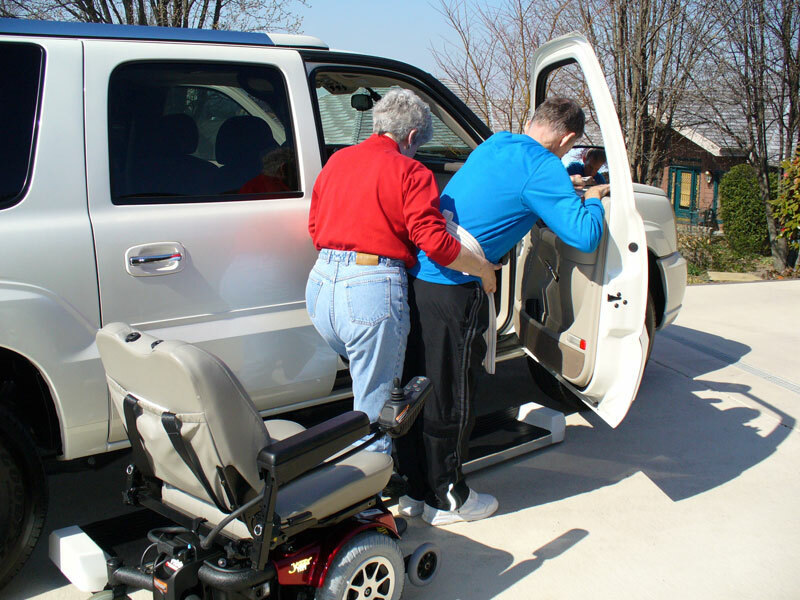 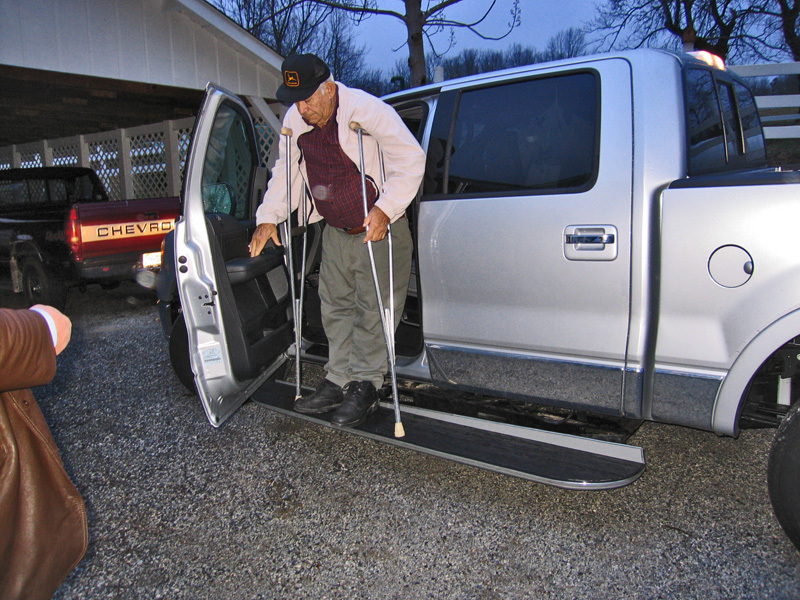 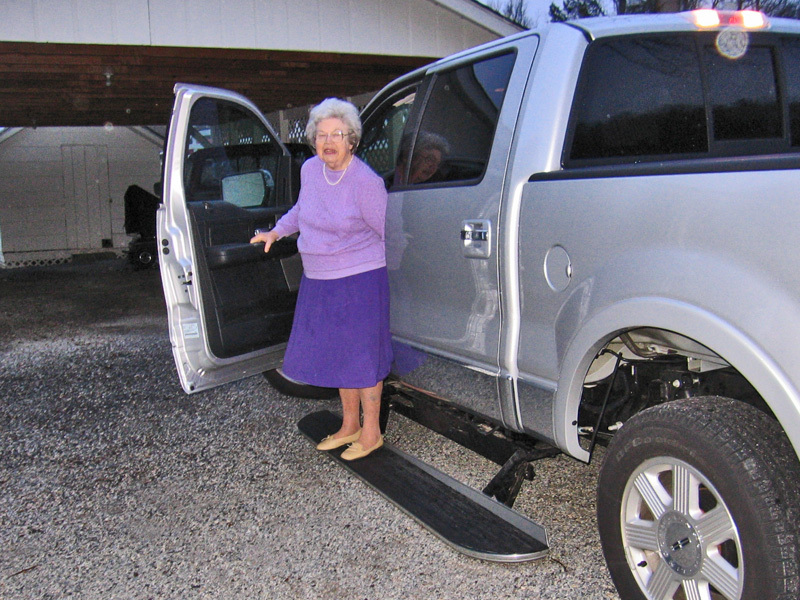 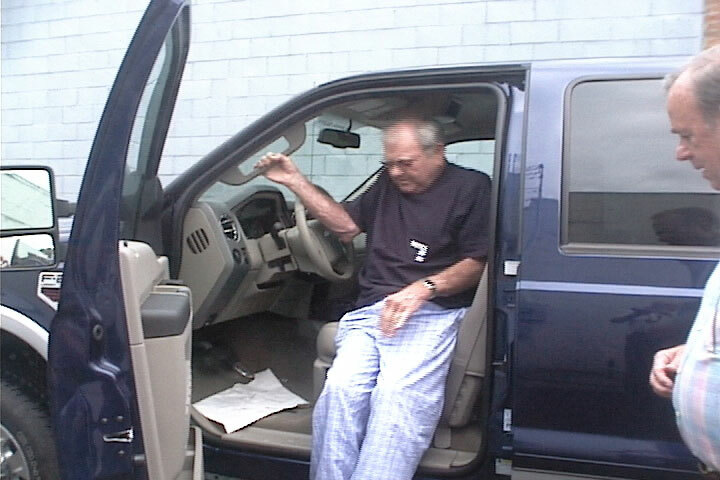 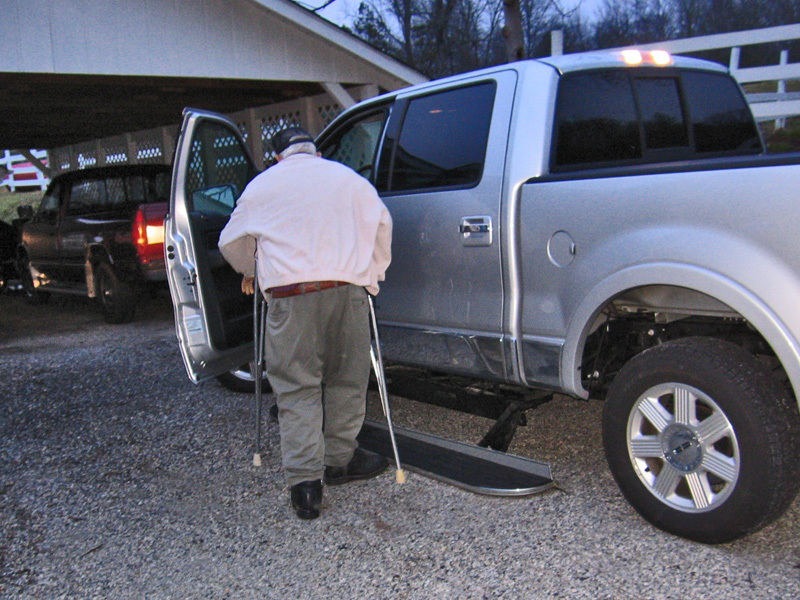 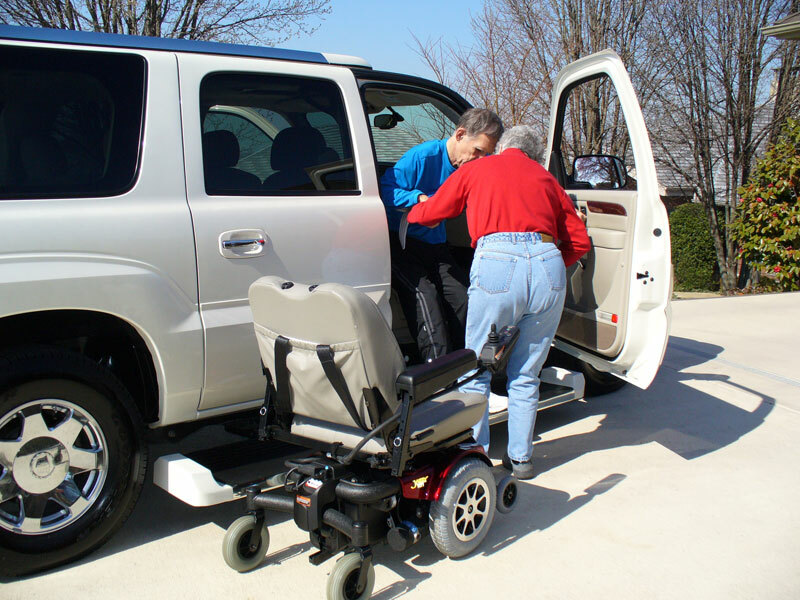 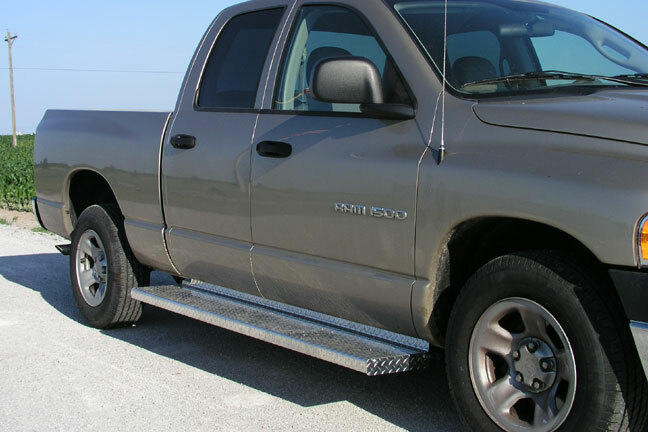 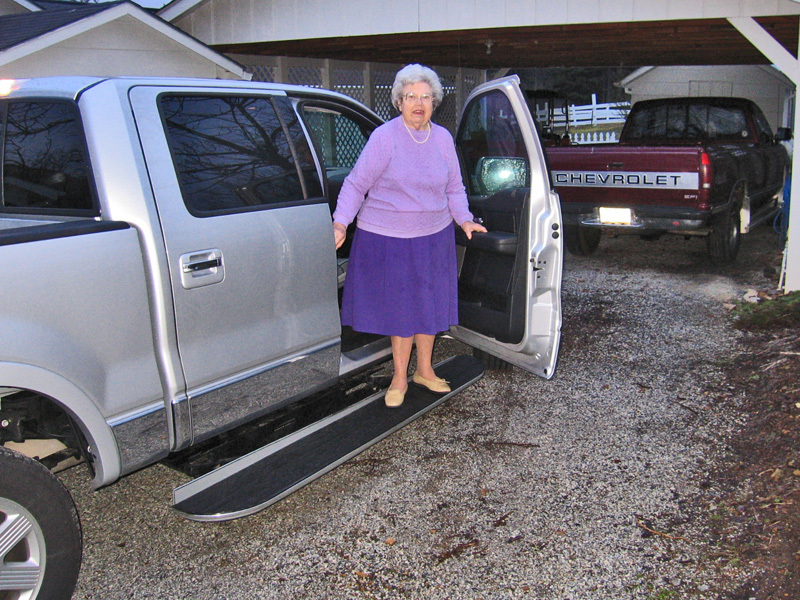 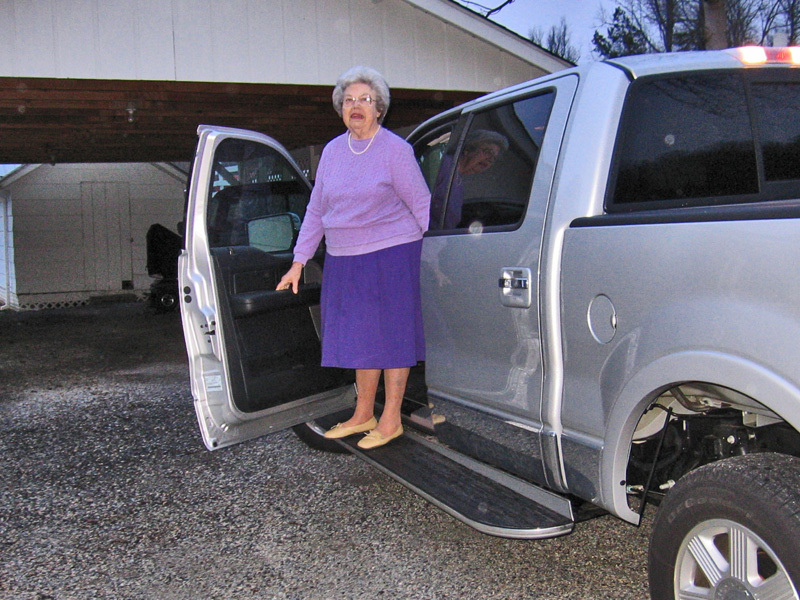 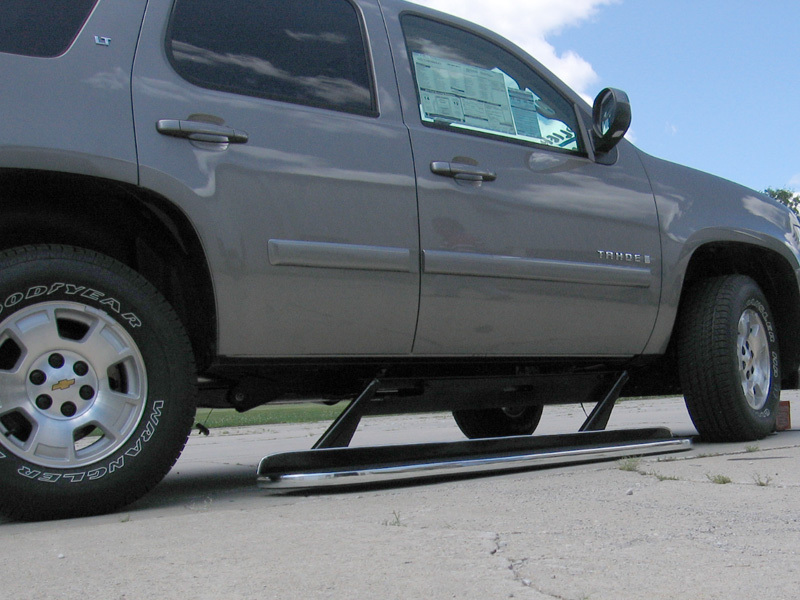 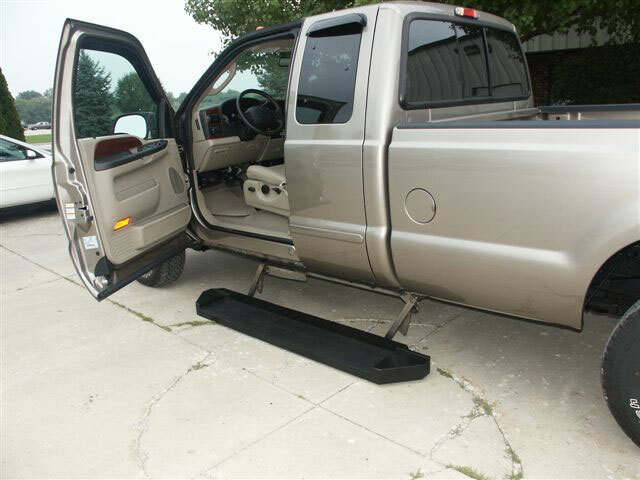 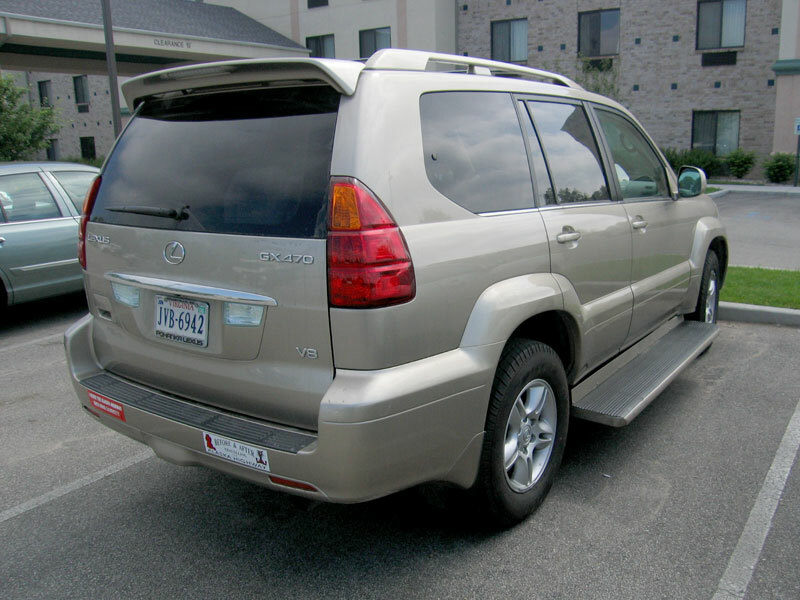 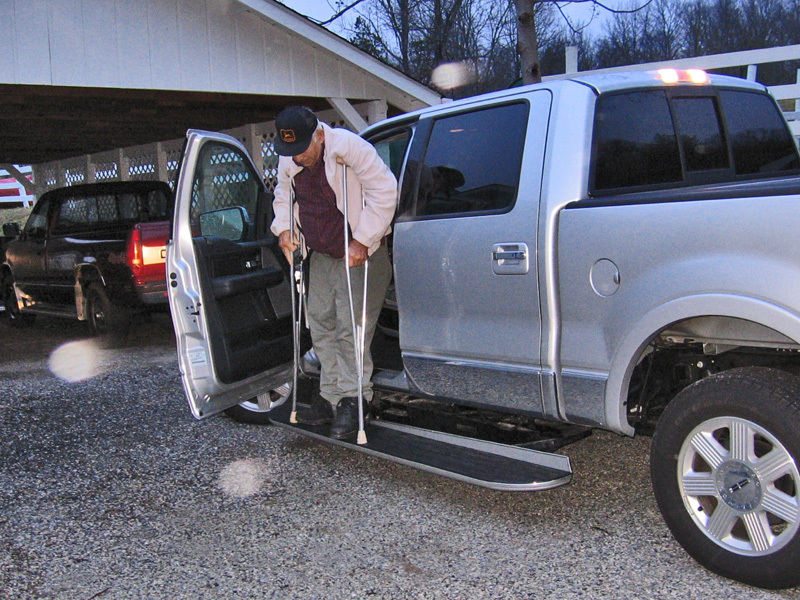 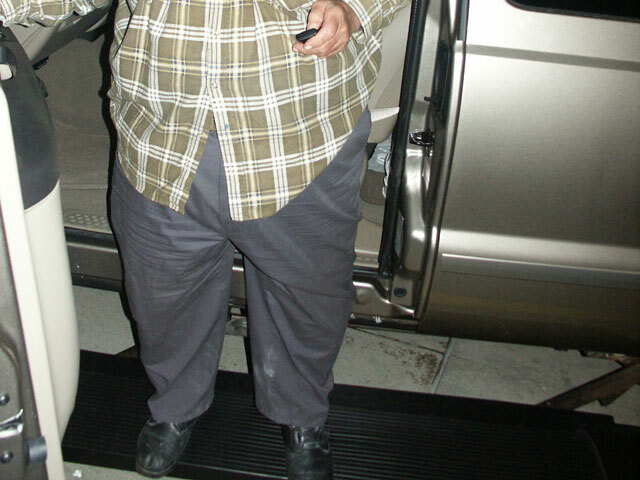 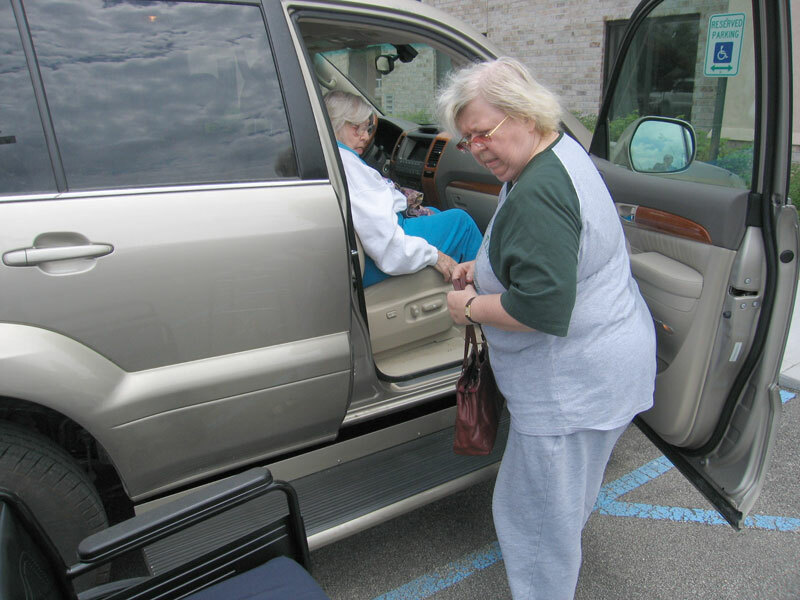 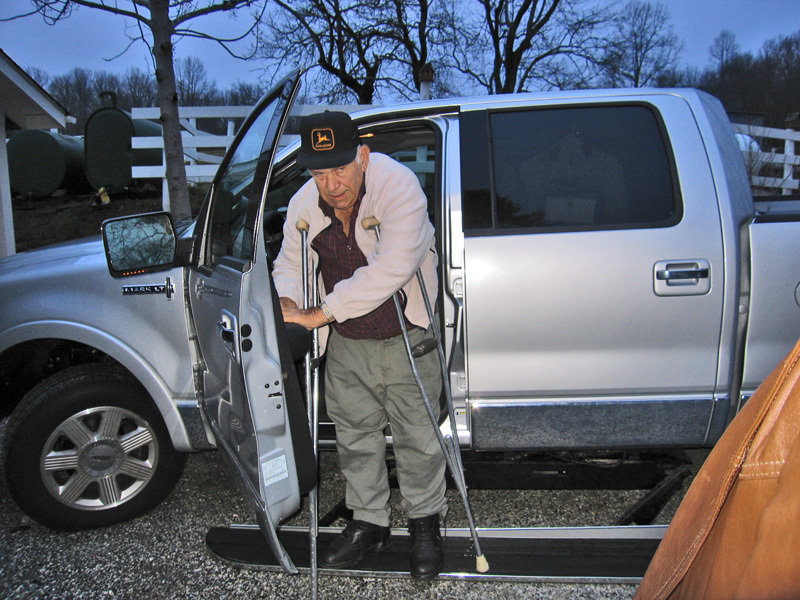 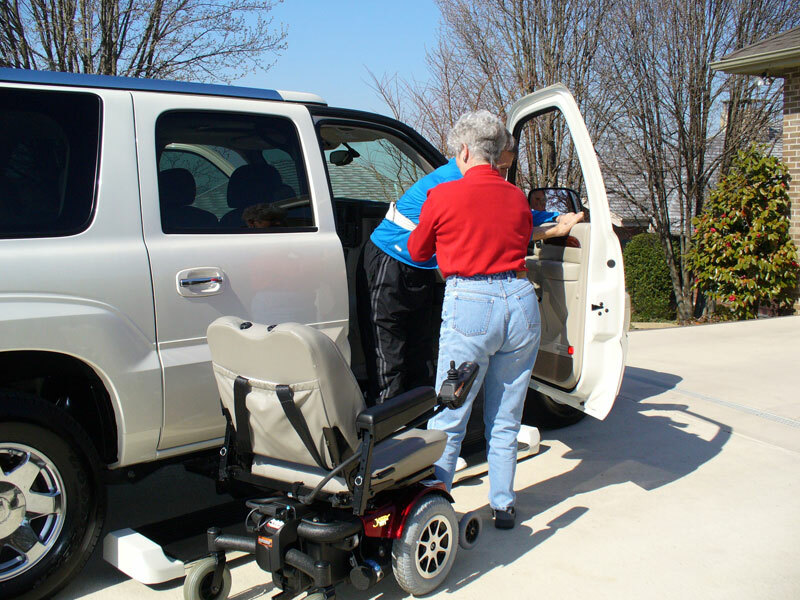 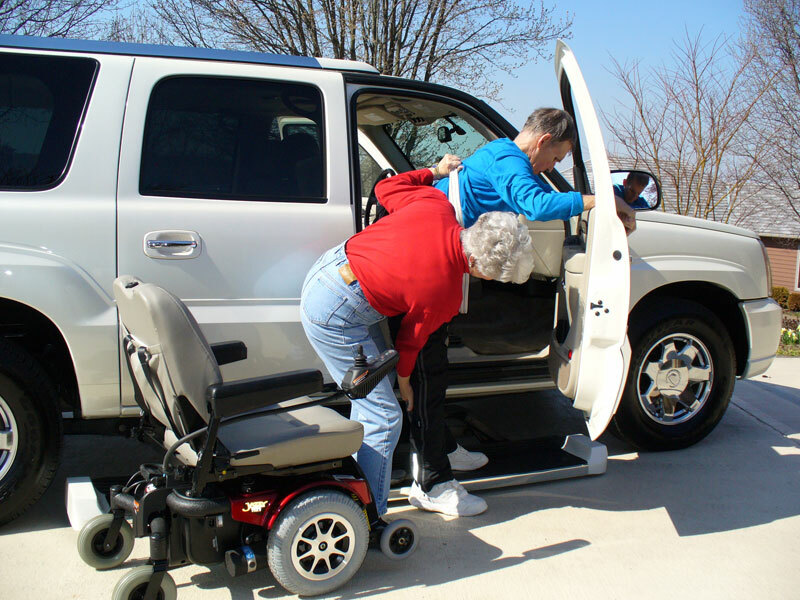 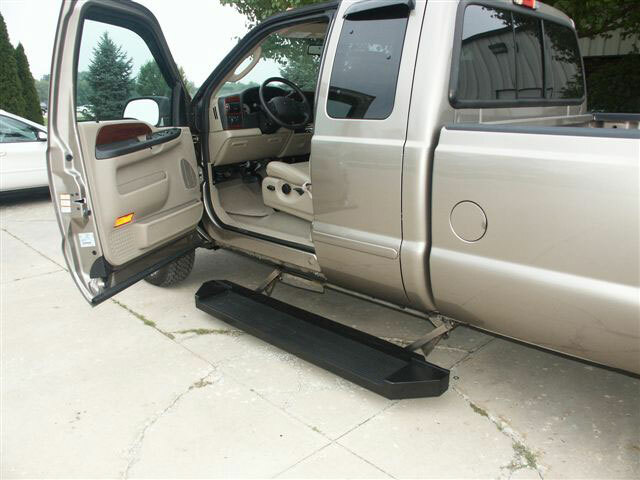 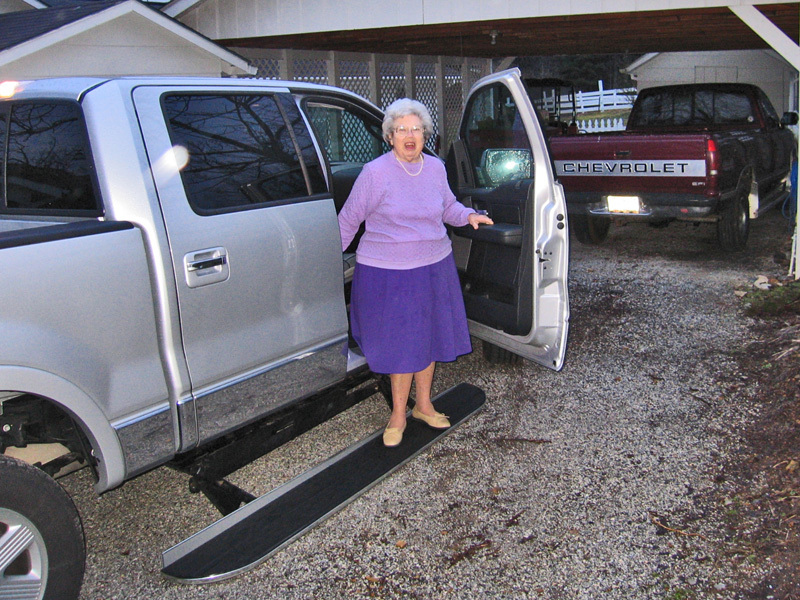 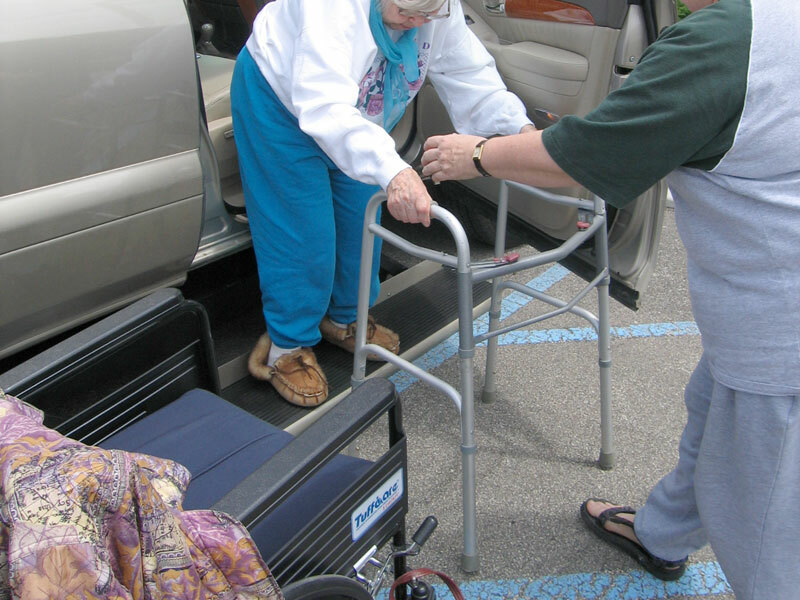 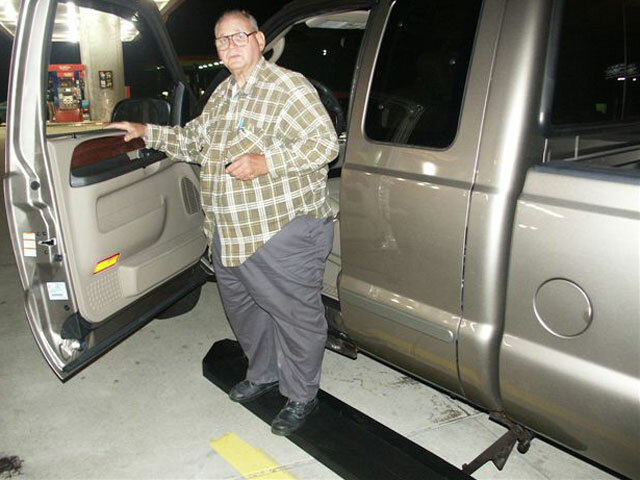 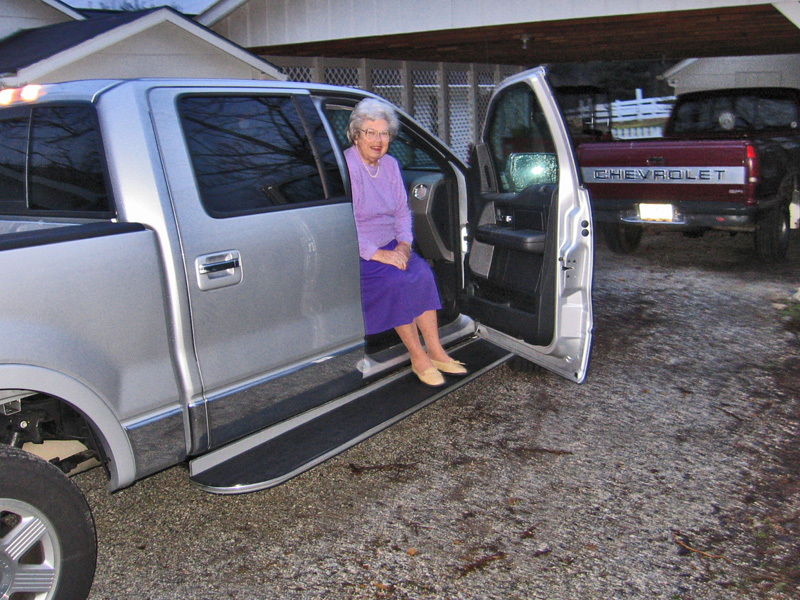 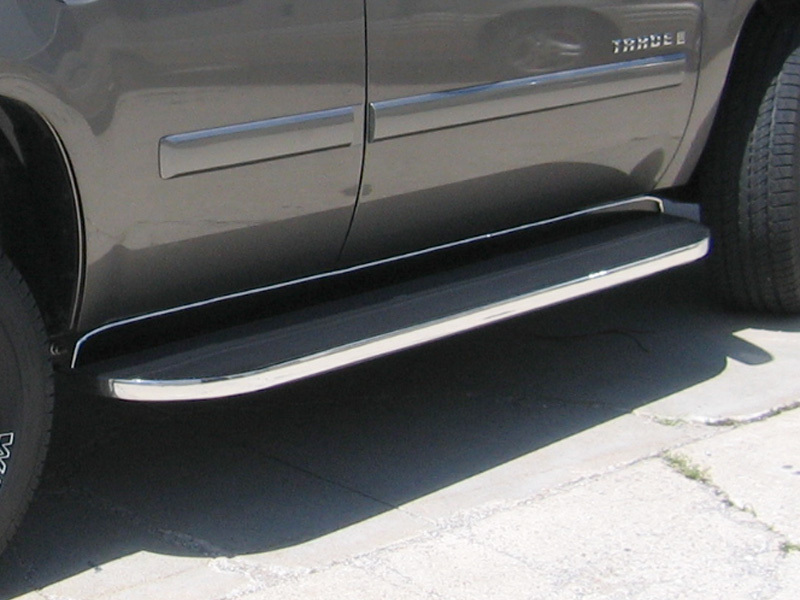 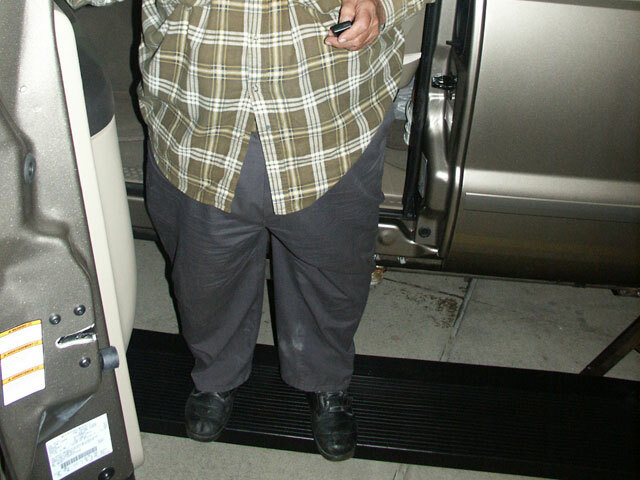 Made to fit most trucks, SUVs, and full-size vans, the Running Board Lift is designed for ambulatory challenged individuals who have difficulty climbing into high-profile vehicles. 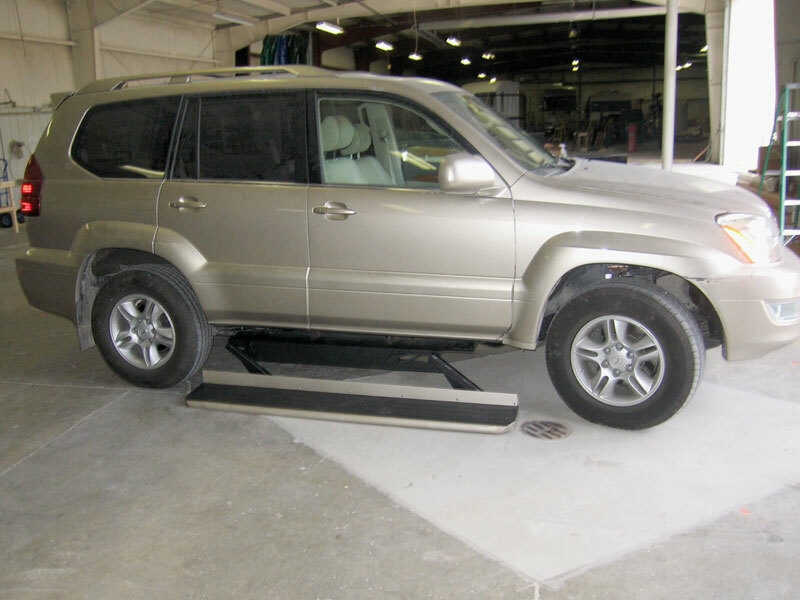 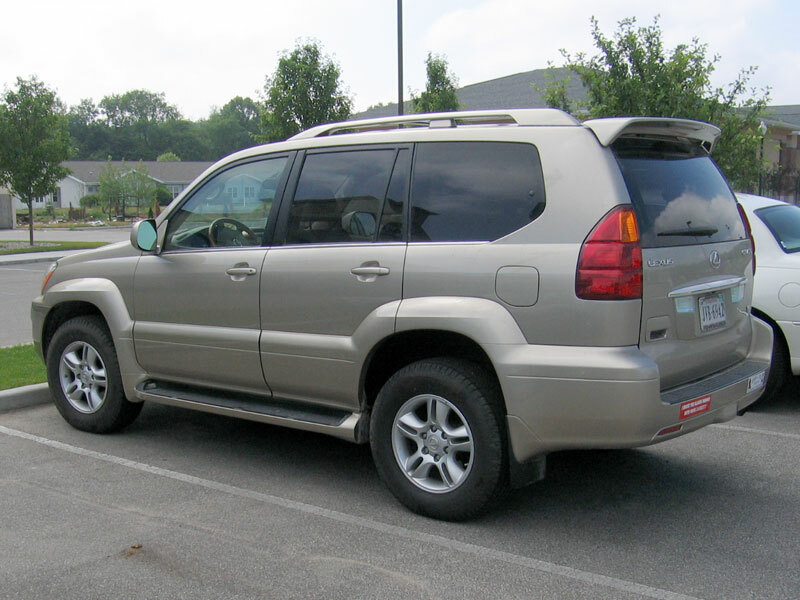 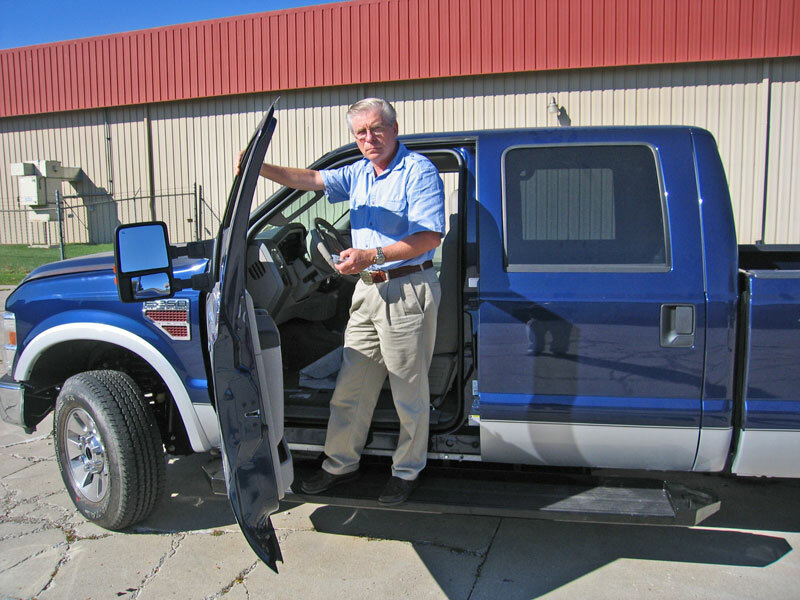 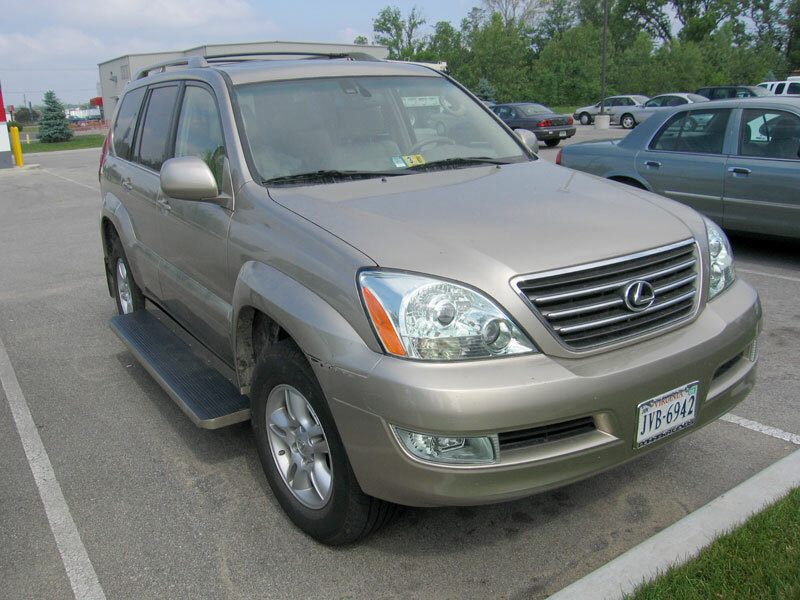 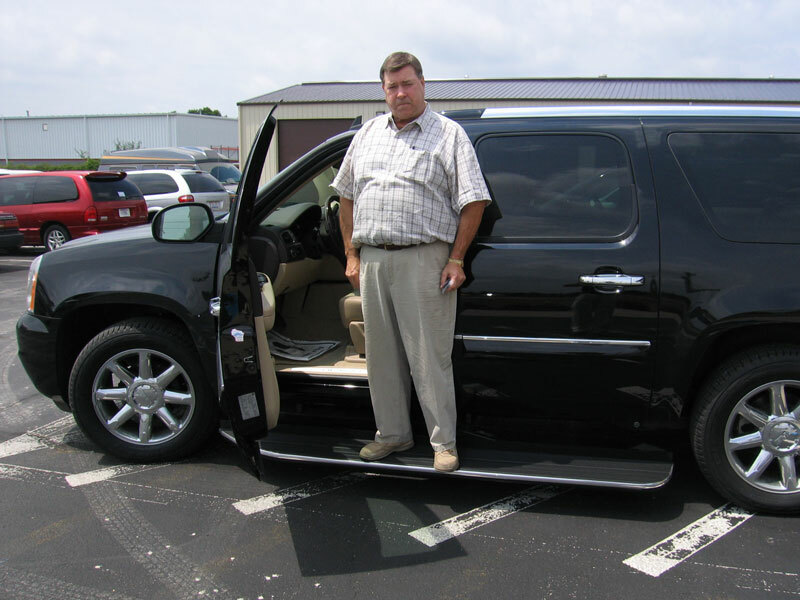 The lift operates off the vehicle battery and is controlled by a remote key fob switch. 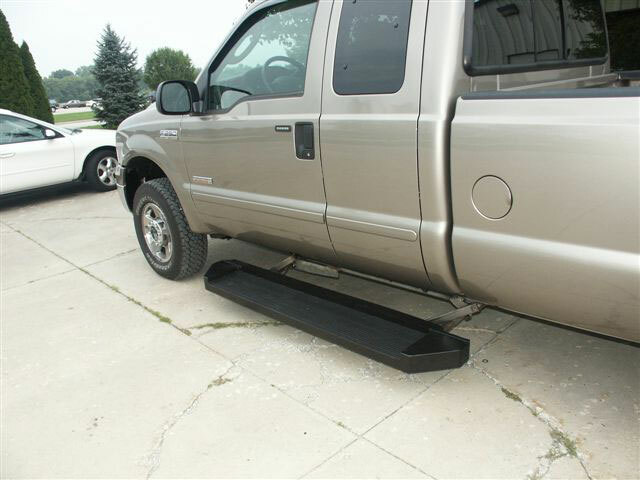 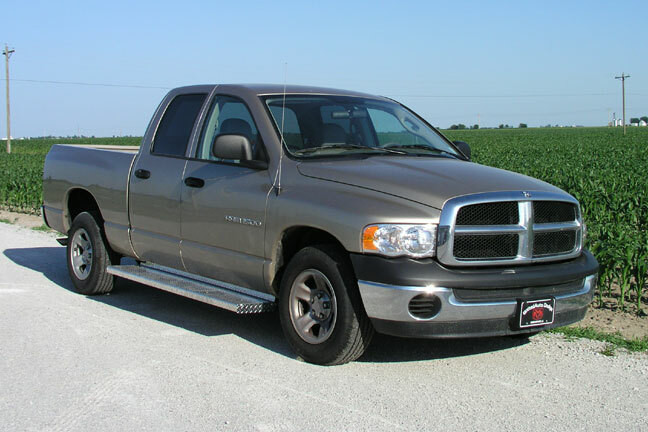 The user simply stands on the running board, activates the switch, and the running board is lowered to the floor. 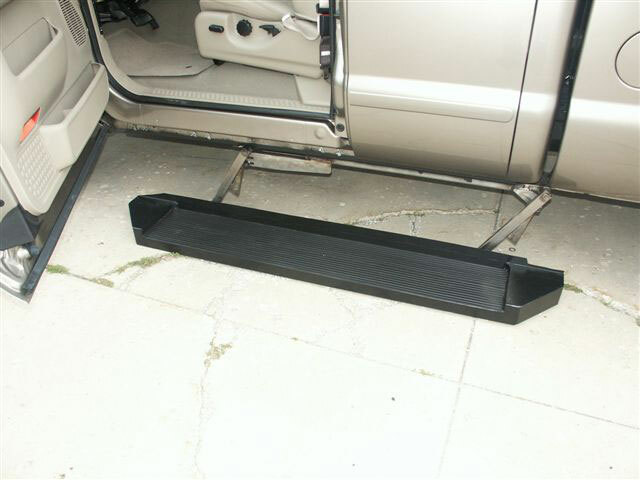 Depressed again, and the running board is raised to the floor level of the vehicle. 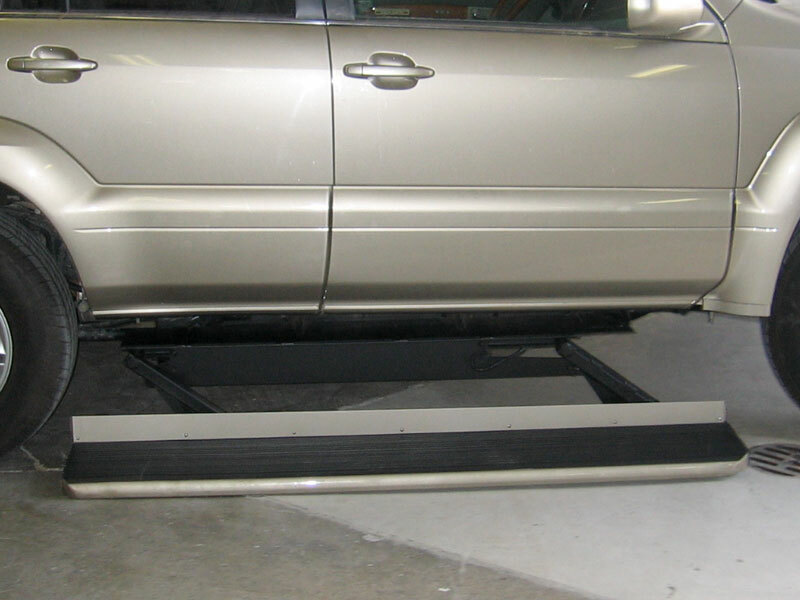 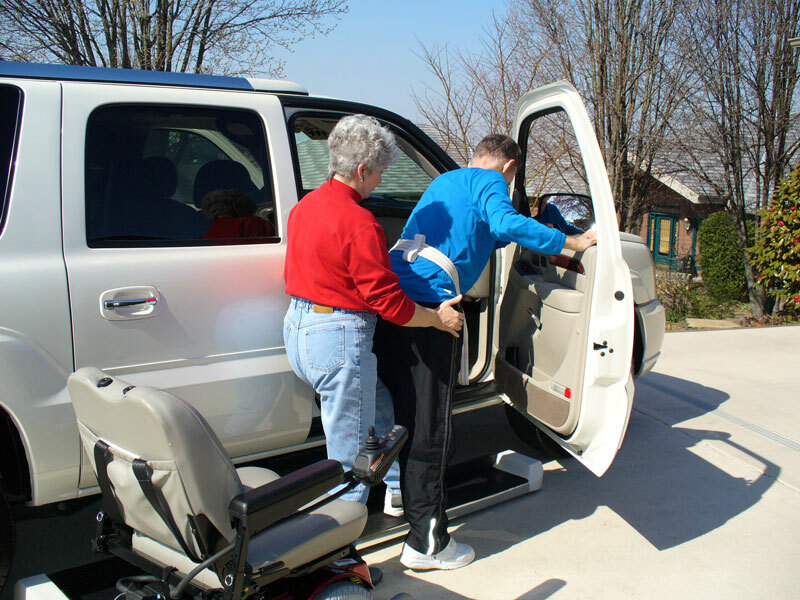 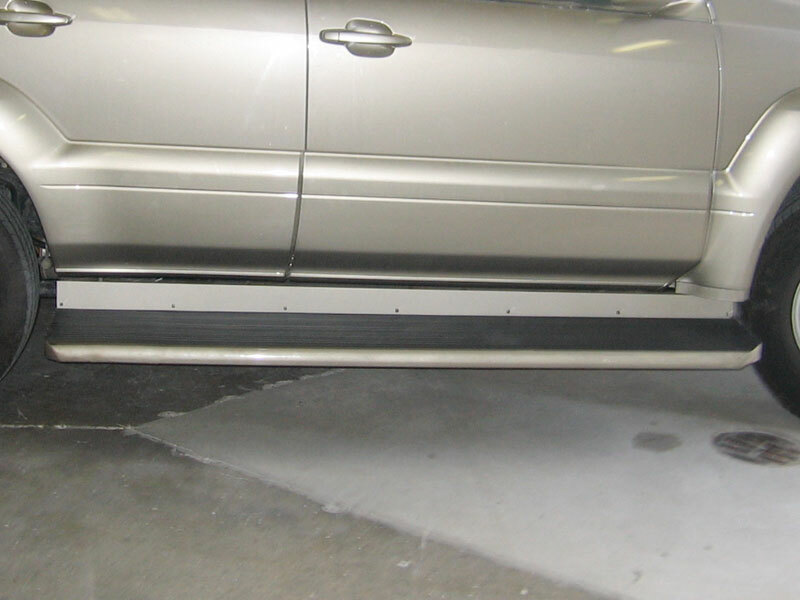 These lifts can be installed on the passenger’s side, driver’s side, or both. 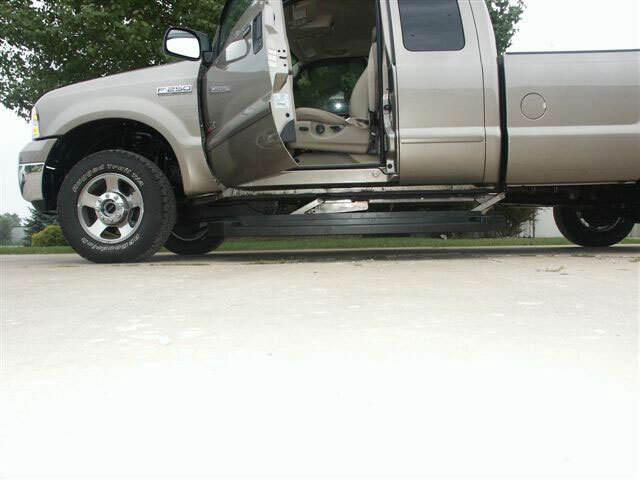 Email for more info! 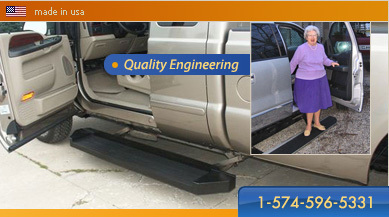 CLICK HERE to view or download PDF brochure.